CLEARWATER, Fla. - Jose Pujols has been named the Florida State League's Player of the Year in 2018, as the league's end-of-season All-Stars were announced on Tuesday. Pujols was voted as the top position player in the Florida State League during the 2018 season by the league's field managers, official scorers, coaches, and broadcasters. Threshers manager Shawn Williams was also honored as a Coach of the Year. Pujols, 22, batted .301/.364/.523 with 18 home runs and 58 RBIs across 95 games in his second season with the Clearwater Threshers. The right fielder was promoted to Double-A Reading on August 3, but currently ranks second in the FSL in batting average, second in slugging percentage, and tied for fourth in home runs. Pujols' 18 home runs were one short of matching the Threshers (2004-present) single-season high of 19, and five shy of the Clearwater Phillies all-time single-season record of 23, set by Ryan Howard in his FSL MVP 2003 season. Pujols is the first Thresher to receive top honors since Austin Wright was named Pitcher of the Year in 2012. 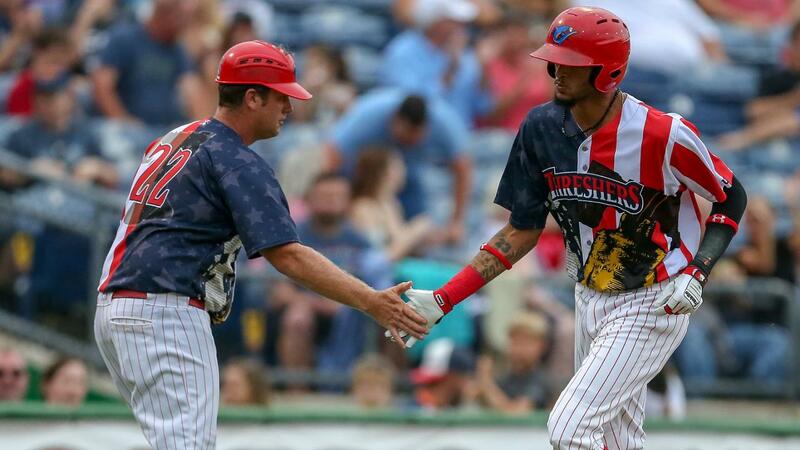 Williams is in his second season as manager of the Clearwater Threshers, and has led Clearwater to the brink of a second-half title with the best overall record in the FSL North as of Tuesday, at 74-58. Clearwater went 67-71 under Williams' guidance in 2017. Williams, 34, is the son of former American League Manager of the Year Jimy Williams, and began his managerial career with the Williamsport Crosscutters in 2014. Williams currently owns a 324-305 overall record spanning five seasons, and led the Lakewood BlueClaws to an appearance in the South Atlantic League Championship in 2016.